+ UPDATE! READ OUR REVIEW OF THE FILM HERE! I kinda dreamt about Stephen last night. Next thing you know, not only are they adding new tour dates, they're also visiting the motherland! We've got our tickets. Howsaboutyou? 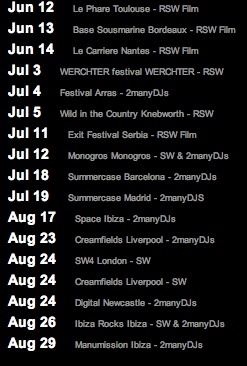 Dates after the jump! More info chez the fabulously namedKevin&Joyce. I would love to meet them. But then again, I think I already have.